Basically the same as the backend, although a number of functions related to the creation of workouts is not available to the athletes. If the user wants to see the route he has done during his workout, he can check the create map? checkbox and a google map with the route will also be created. Selection can be made on the graph and the average bpm over the selected timerange will be calculated. Future versions will have more values to be calculated. 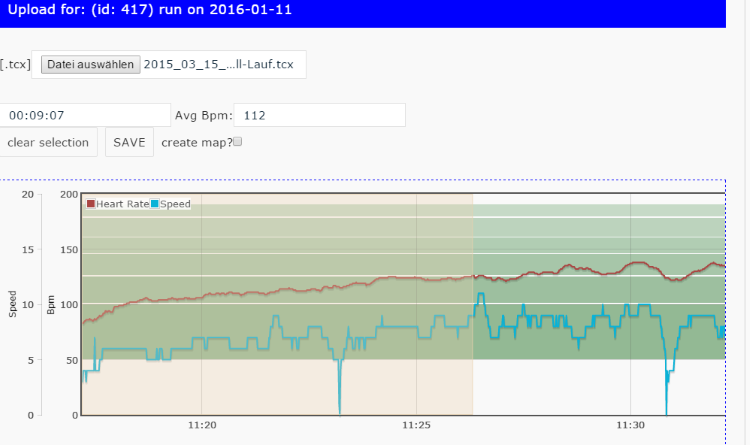 When a user clicks on a workout, he can provide feedback (text, duration and distance done). He can make a pdf out of a selected range and add / edit / delete appointments and edit his info textbox. He can also download the complete set of workouts as .ical, tested and working well with outlook for starters. Shortly, the download will be provided. There will be 2 options - a cheaper one without support and one with email support. 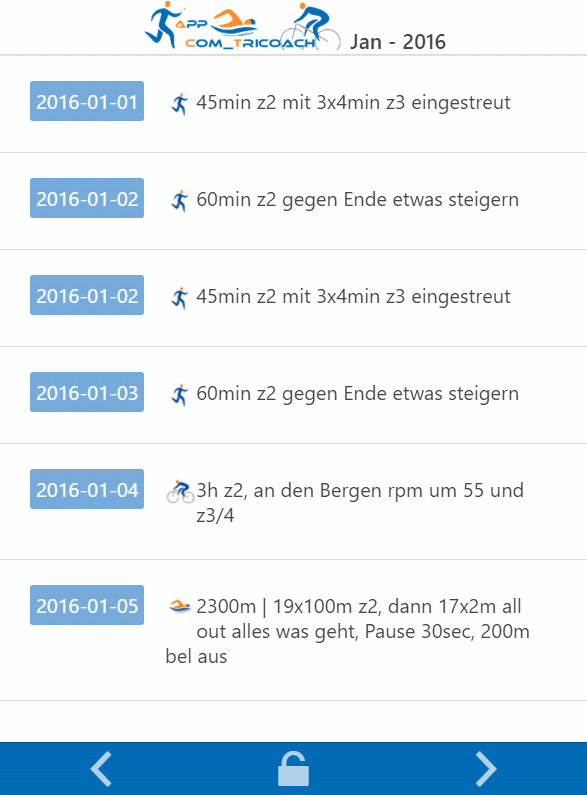 I am currently developping an app for Android and IOS, that in the first version lets the athletes retrieve their workouts. Future versions will be added to allow for feedback per workout from the phone.